Alien Day is upon us, dear readers, and as the Internet commemorates 20th Century Fox’s horror icon in all of its putrid, nightmarish glory, director Neill Blomkamp has shared the latest piece of concept art for his shelved Alien 5, this time featuring an older version of Newt from James Cameron’s Aliens. 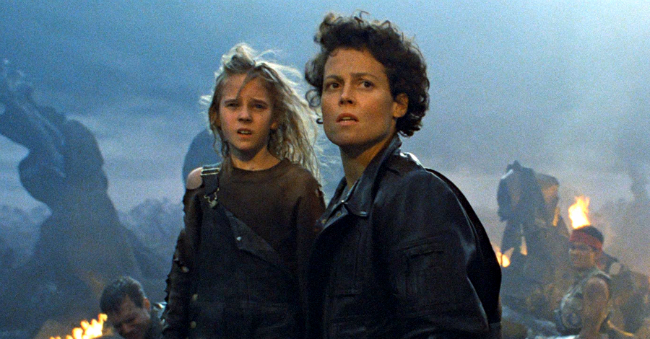 Known as Rebecca “Newt” Jordan, Carrie Henn’s fearless survivor struck a chord with fans of the esteemed franchise, and though she met her demise at the beginning of Alien 3, the fact that Blomkamp’s delayed sequel will effectively skirt around those middling follow-ups opens up the chance for Newt to appear once more. We say delayed because, in prioritizing Ridley Scott’s Alien: Covenant – formerly known as Prometheus 2 – Fox has quietly nudged Blomkamp’s intriguing vision onto the back-burner, raising questions at the time as to whether the director’s passion project had been canned. But fear not; series stalwart Sigourney Weaver recently rubbished reports that Alien 5 was dead in the water, even going so far as to say that Blomkamp’s sequel will be “worth the wait.” We certainly hope that’s the case, but for now, you can ring in Alien Day in style with a mock up of Newt as a battle-ready explorer. While Alien 5 simmers in pre-production, Ridley Scott’s Alien: Covenant stands as the next entry in Fox’s sci-fi franchise. It’s due to land in theaters on August 4, 2017, helping to build a prequel trilogy under Scott’s astute eye that will eventually dovetail with the director’s seminal 1979 classic. Blomkamp’s projected sequel, on the other hand, will expand the franchise in the other direction, beyond Aliens into largely uncharted territory.